Join a passionate team of dedicated professionals with a common purpose of preventing and addressing family violence within Aboriginal communities across Victoria. At Djirra, we stand firm against family violence, supporting Aboriginal women’s journey to safety and wellbeing. As an Aboriginal Community Controlled Organisation, Djirra was initiated by Aboriginal people, and is operated and governed by Aboriginal people for Aboriginal people. Aboriginal values are at the core of everything we do, ensuring that we provide culturally safe services. Employee Assistance Program with supportive, confidential counselling for personal and work concerns.  Djirra is committed to Child Safety and as part of Djirra’s screening requirements all staff must have (or are able to obtain) a Working With Children Check and a National Police Check. You must also be able to demonstrate an understanding of Child Safety. An amazing opportunity has arisen for an Executive Officer, National FVPLS Forum Secretariat. This important position will play a lead role in national advocacy to improve outcomes for Aboriginal and Torres Strait Islander people and the prevention of family violence. Our Aboriginal Family Violence Legal Service program of Djirra has an opportunity for a dedicated Paralegal Support Worker to provide support and information to clients who have experienced family violence. This position is full time and permanent. The successful candidate will work closely with the Senior Lawyer assisting clients to access a variety of legal, social, psychological, cultural, health and other support services to address their needs. An exciting opportunity has arisen in our Melbourne office for a Lawyer or Senior Lawyer to provide and oversee high quality legal advice and representation, and non-legal support. Lawyers work closely with Paralegal Support Workers to address the multitude of interrelated legal and non-legal issues faced by our clients, assisting them to access a variety of legal, social, psychological, cultural, health, financial and other support services. Our Aboriginal Family Violence Legal Service program of Djirra has an opportunity for a dedicated Paralegal Support Worker to provide support and information to clients who have experienced family violence. This position is full time and permanent. The successful candidate will work closely with the Lawyer assisting clients to access a variety of legal, social, psychological, cultural, health and other support services to address their needs. You can download the position description here. Our Aboriginal Family Violence Legal Service program of Djirra has an opportunity for a dedicated Paralegal Support Worker to provide support and information to clients who have experienced family violence. This position is a full time fixed term position (parental leave replacement). The successful candidate will work closely with the Senior Lawyers assisting clients to access a variety of legal, social, psychological, cultural, health and other support services to address their needs. For general enquiries about job opportunities and Djirra’s work, contact us. Djirra’s volunteer program is for people who have experience in, or who are studying: law, community development, policy, Aboriginal studies or other relevant disciplines. Djirra will be seeking volunteers with strong analytical and conceptual ability, and excellent research and communication skills from July 2019. Aboriginal and Torres Strait Islander people are strongly encouraged to apply. Djirra is currently undertaking a comprehensive review of our existing membership structure, and we do not intend to accept additional members pending the outcome of the review. Once we have completed this review, Djirra will update members and the general public by releasing a statement on the website, at which time we would encourage those who are seeking membership with Djirra to re-apply.